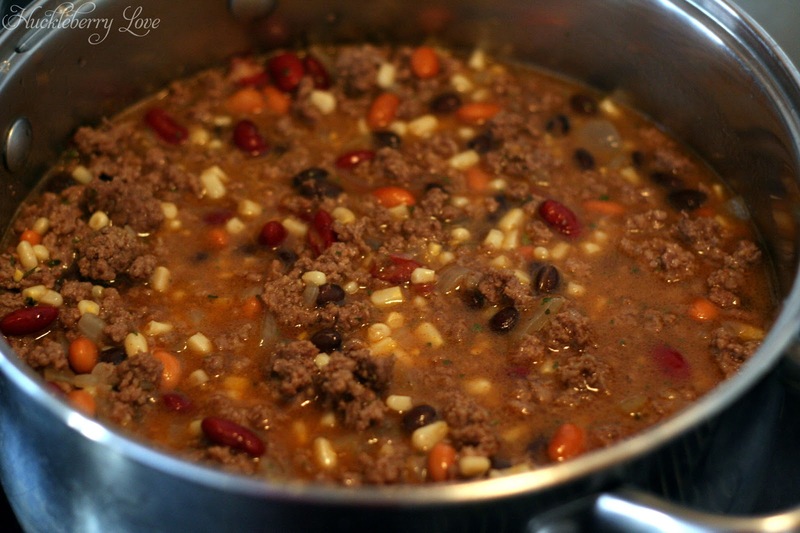 My husband and I were first introduced to this delicious soup when we visited a friend during summer break while in college and it was SO good that we immediately asked for the recipe. Now you know, if college kids are asking for a recipe (and it doesn't involve Ramen Noodle in some way) the meal has be pretty darn amazing. And it is. 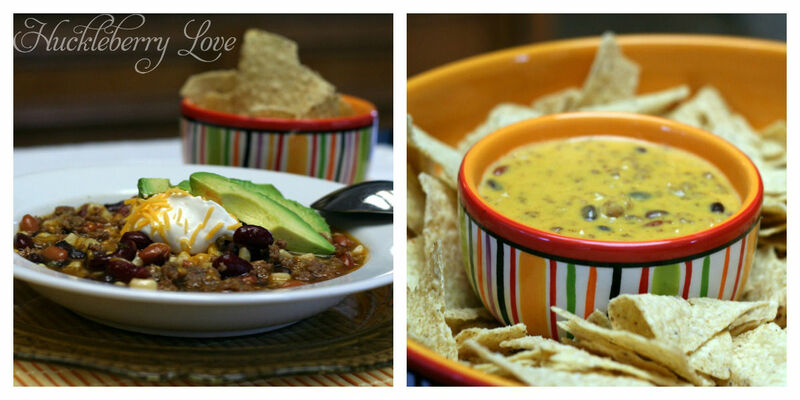 This soup has a little secret though: it can also be a scrumptious dip. Two for one! Talk about a delicious deal. And it is so super easy to make! So grab your sombrero and let's get started! 1. 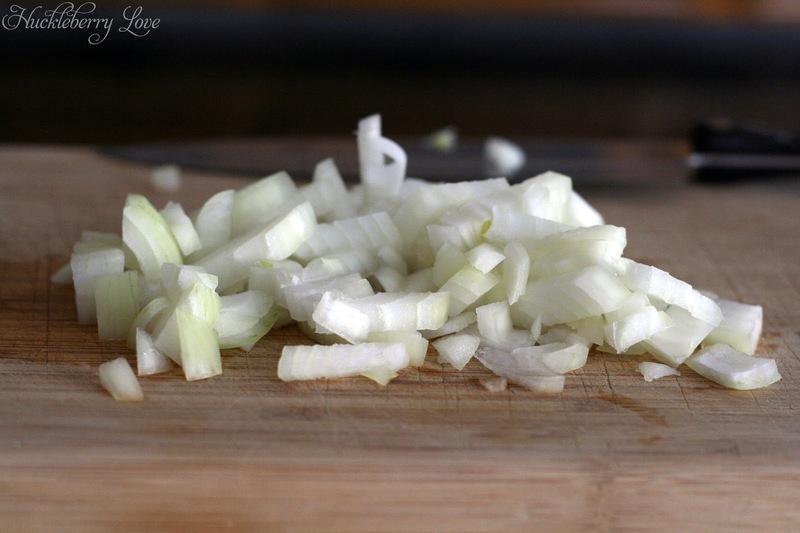 Chop up the onion. 2. 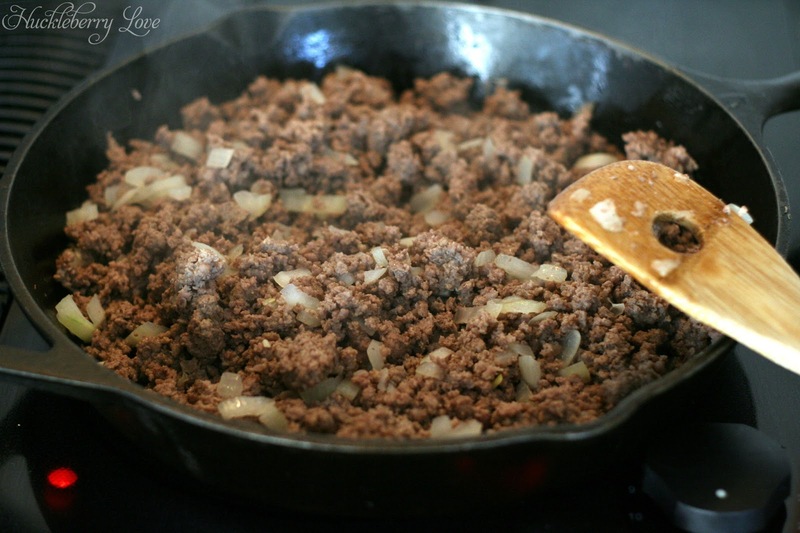 Brown the two pounds of ground beef with the onion. Drain any fat. 3. 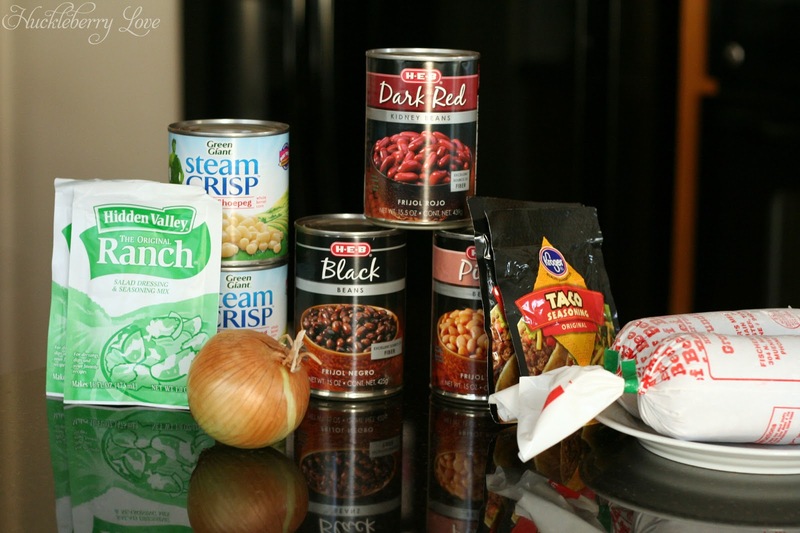 Add the can of kidney beans, can of black beans, can of pinto beans, two cans of shoepeg corn and the two packages of taco seasoning and ranch dressing into a large pot. 4. Pour in the 4 cups of water. 5. Add the meat and onions to the mixture and stir. 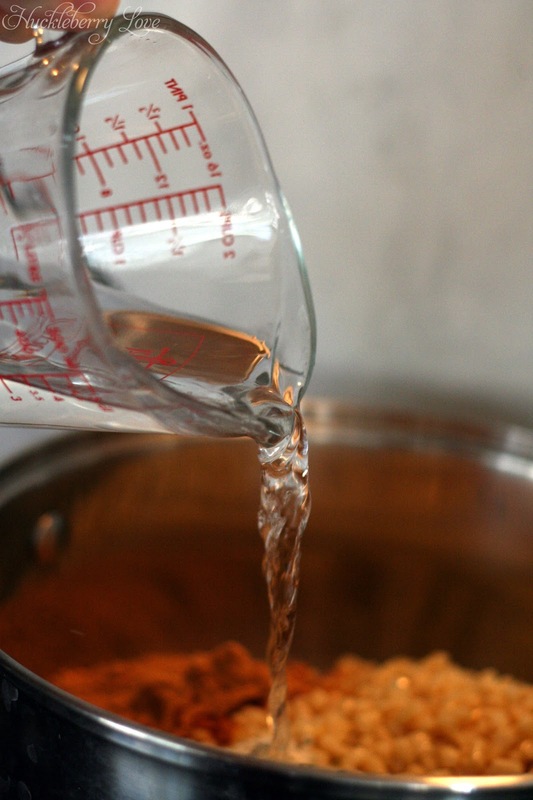 Bring to a boil and then let simmer for one hour, stirring occasionally. 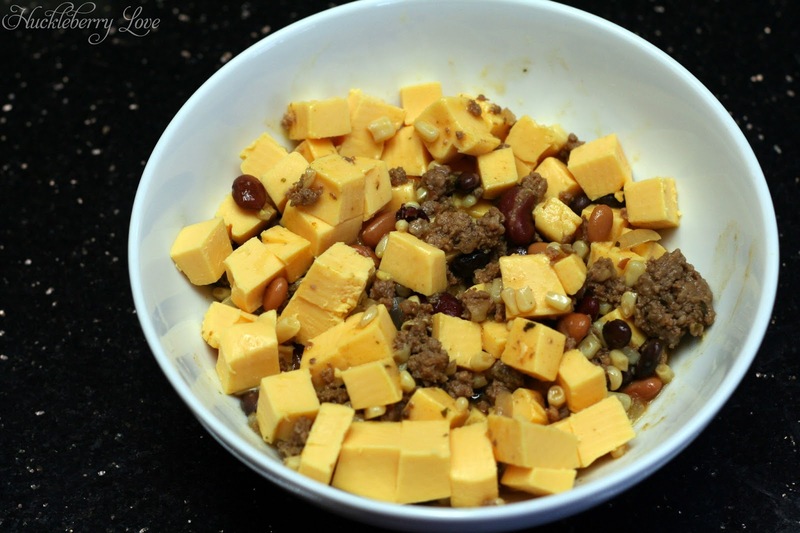 Cube the 8 ounces of Velveeta cheese and stir together with 1 1/2 cups of the soup mixture in a microwave safe bowl. Microwave for 1 minute at a time, stirring each time until the cheese is completely melted. 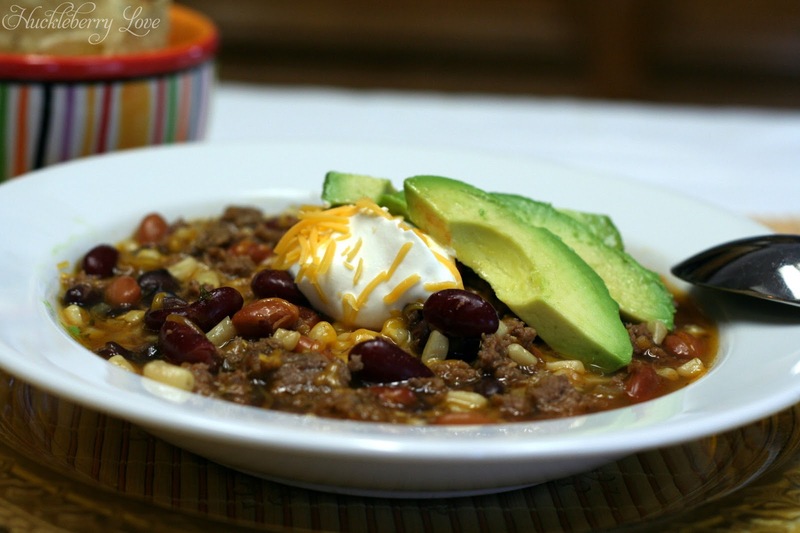 This is one of our family's favorite recipes and we usually make a double batch because this soup freezes beautifully. We like to store it two ways: family portions (large freezer bags) and dip portions (sandwich bags filled with 1 1/2 cups of soup). 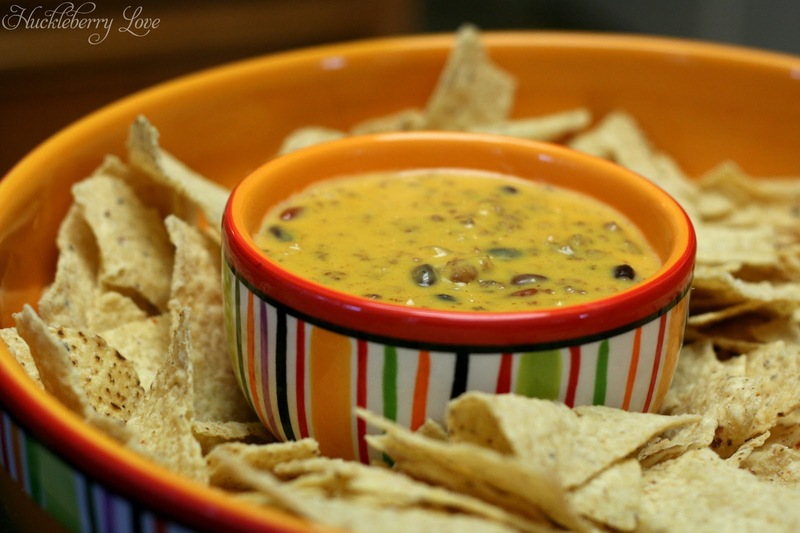 That makes it easier for us when we have friends over and we want to whip up some Santa Fe dip. We just thaw it and we are ready go! 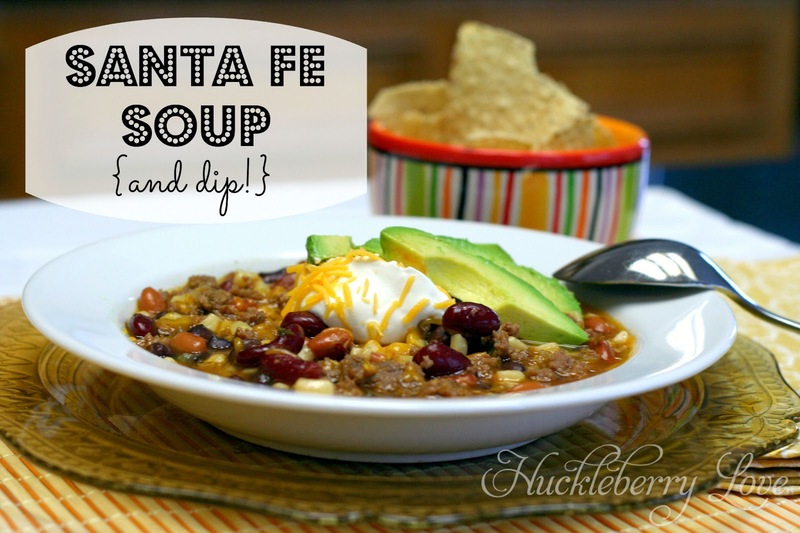 I hope you enjoy the Santa Fe Soup/Dip as much as my family does! 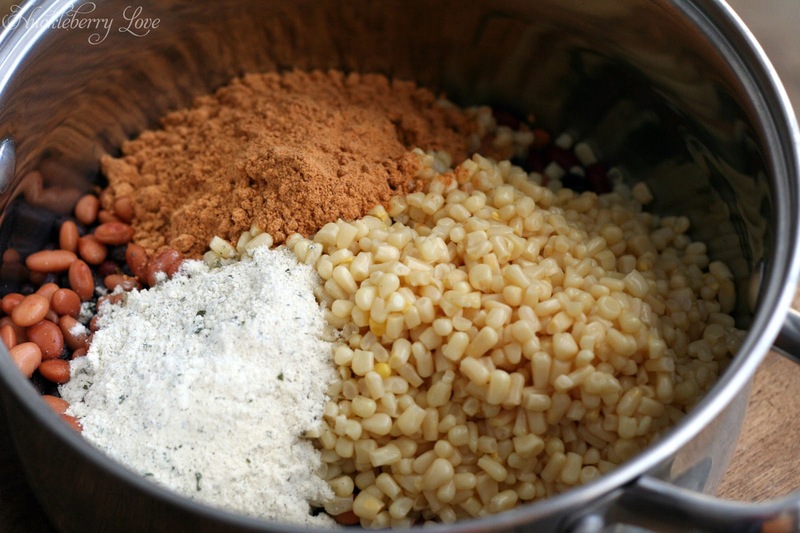 I am doing some blog hopping and found this recipe. It sounds delicious. 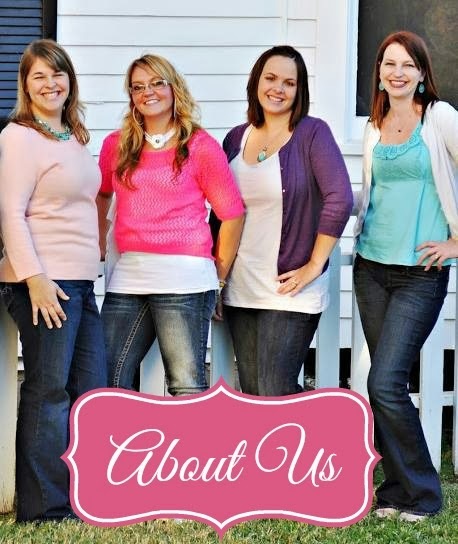 I would like to invite you to our Foodie Friends Friday Linky Party that start tonight. I hope you will bring this recipe or link up to 3 recipes of your choice.